Needs A Ribbon: The Pen is Always Mightier! I love how the background turned out for this project. I stamped the three pen image in Smokey Slate repeatedly but not overlapping on that layer. A simple stamped image (the three pens) were added as the focal point. And the project is essentially done. I colored in the pens with my own ink. 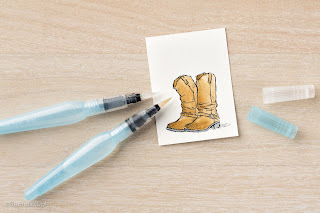 I placed a few drops of re-inker in a container and used an aqua painter to color them. When selling items for profit or sale that have been made with Stampin' Up! products be sure to follow the Angel Policy as stated below. Here is an update on my knee, if you are a regular blog follower. Its a short one. Knee rapidly declining daily. Next doctor appointment is Friday. My quality of life, as you can imaging, due to pain and mobility, is not a pretty picture right now. I am staying positive, knowing there are likely answers really soon. And that will lead to a solution. But the pain is, admittedly, off the charts at times. I am not complaining, at all, just providing a realistic update to an unfortunate situation. I am making the best of what i can do. I can, on a good day, spend 1-2 hours in my studio. For that I am grateful. It makes me feel useful and provides a distraction. I am working on more posts. I have so much content to share of items I made earlier this summer. Until I started photographing and planning posts, I had no idea I made so much. I am glad i took advantage of my mobile times to do so. *You can sell projects you’ve made with Stampin’ Up! 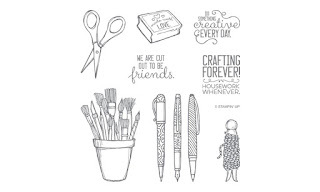 copyrighted images if they include “© Stampin’ Up!” on them (see Crafting Forever Stamp Set below). To learn more, visit stampinup.com/angelpolicy or talk to your demonstrator. Handmade craftwork created for sale must be personally and individually created by the selling artist and may not be reproduced or copied in any form by any means, graphic, electronic, or mechanical, including photocopying. Mass production, assembly-line construction, production by workers for hire, or syndication of craftwork for sale is strictly prohibited. Digitally created projects intended for sale must be personally created by the selling artist. All of Stampin' Up! 's images are copyrighted, which means that they may not be copied without permission. To help protect the rights granted by these copyrights, all items for sale using Stampin' Up! 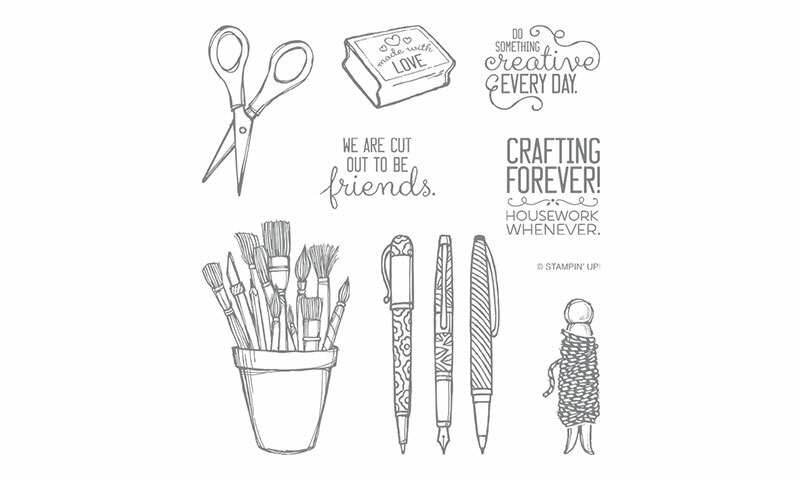 images must be marked with one of the images from the official Stampin' Up! Limited License stamp sets shown in the catalog, or the digital copyright image included in the My Digital Studio program, or available online. There are no quantity limits for for-sale, handmade craftworks that abide by the restrictions as stated in this policy. However, you may only sell 150 total individual items per calendar year of printed projects that were digitally created containing Stampin' Up! images unless other permission has been requested and granted. Calendars, cards, photo books, or other digitally created projects apply to this limit. Completed, handmade or digitally created projects may be sold at competitive and non-competitive permanent retail locations, as well as temporary craft events, community fundraisers, and over the Internet. In selling handmade or digitally created projects, the seller must make it clear that the items are handmade or personally created by the seller, and not a product of the company. The seller may indicate that the supplies used are from Stampin' Up!, but the Stampin' Up! logo may not be used in any way for the sole purpose of promoting the sale of handmade or digitally created projects. You may not use Stampin' Up! images for the purpose of creating logos or company trademarks. Digital files of any type containing Stampin' Up! images may not be sold under any condition. Persons creating handmade or digitally created items for sale are responsible for complying with any state and local business and tax regulations. Persons participating in this angel policy assume all liability for suitability of their work and agree to indemnify Stampin' Up! from disputes arising from their work. Stampin' Up! is a Utah corporation. The laws of the State of Utah govern the policy. The state and federal courts for Salt Lake County, Utah, will have exclusive jurisdiction over any proceeding arising from this policy and Salt Lake County, Utah shall be the exclusive venue. Any failure by Stampin' Up! to enforce any of its rights will not constitute a waiver of such rights. Does not apply to projects that are gifted or used in your home, only if money exchanges hands.